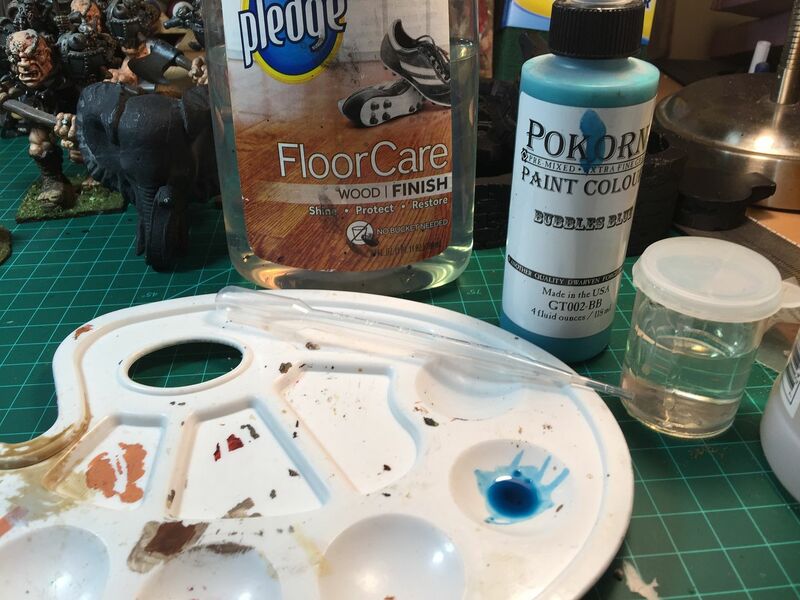 I use a lot of brands of paint including the compleat range of Pokorny brand paints.I think there are enough colors available for Dread Hollow. In the tea light trees example, I had to remove the black gloss and glitter base coat and re prime with Walmart spray flat black and The Walmart house brand of craft paint Umber.The glitter texture was difficult to remove. Primer colors matters. This is Pokorny Wood and Cardboard over a primer coat of Umber from Walmart. This is Dark Lava,lava orange and School Bus yellow.The base color for the pond is Deepwater green.The water effect is Realistic Water from Woodland Scenic. 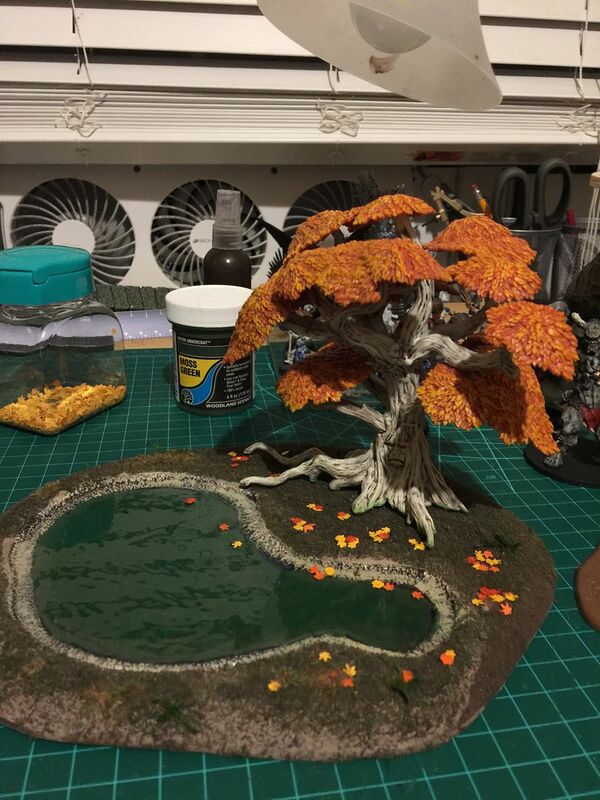 I have not painted green foliage with the DF brand paint, This is Deepwater,shallow water and school bus yellow. The columns were painted with dark Lava and sponge painted with card board and Stone edge. 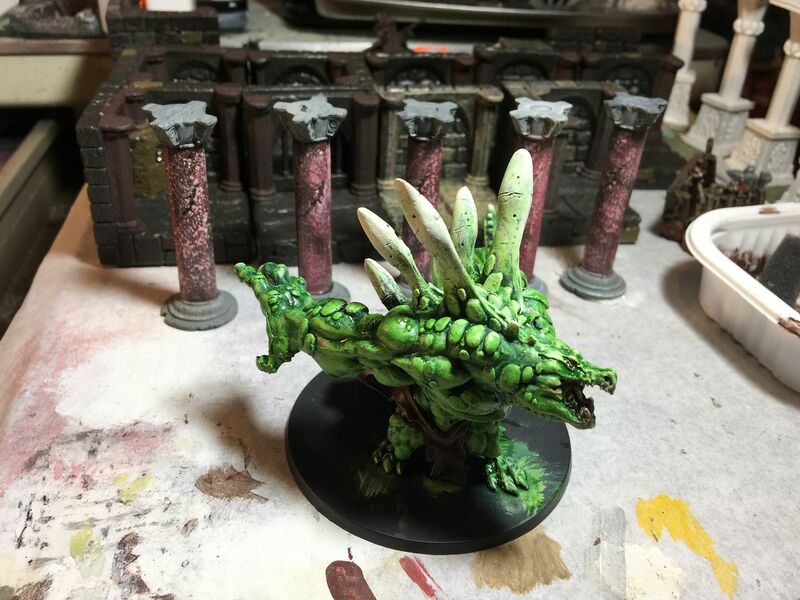 Pokorny paints make good washes. If you wan a flat wash use matt medium instead of floor wax. I saw Lady Sabelle posted onteh KS that the base color for forests might not be dungeon grey, maybe dark green or brown. I think that is a good idea. Not sure which I would prefer but leaning towards brown. I have yet to run out of any bottle though a few are getting close. They are just that big. I obviously need to buy more DF. I don’t think there’s any new paint colors for Dreadhollow. There may be for Underdoom, but during the campaign DF was leaning towards not releasing any new paints due to lack of sales. 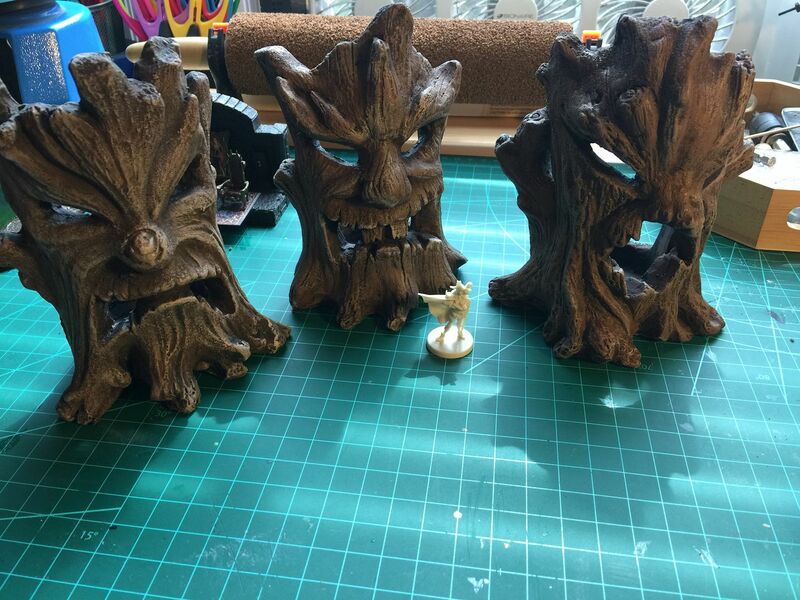 Will the Pakorny paint line for DreadHollow Forest be in the store a few months ahead of the KS6 distribution? I'm guessing the paint guide will not be but I can be hopeful!